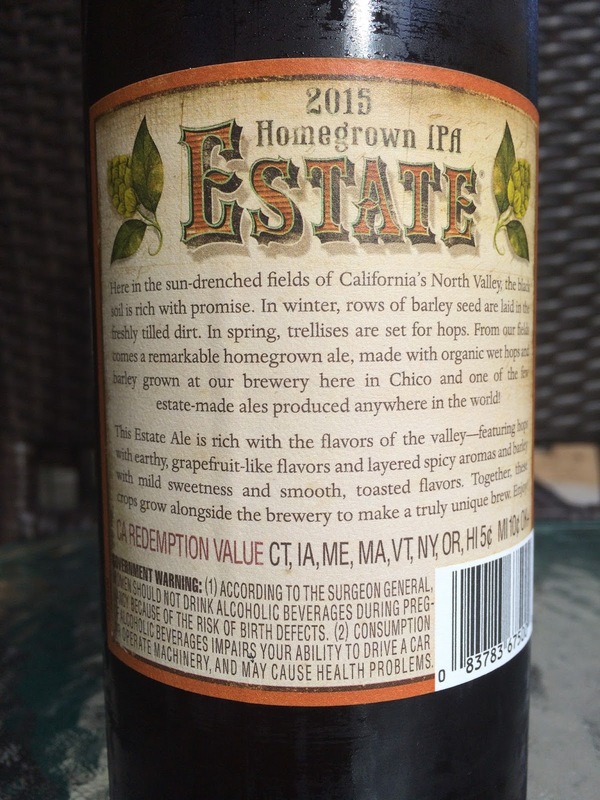 Today I'm drinking a wine bottle of Sierra Nevada's Estate Homegrown IPA 2015 (not sure what year IPA replaced Ale). I've had this in year's past and just loved it, so despite my "BomberBoycott, I have no problem spending $8 on a bottle of such an awesome beer from an awesome brewery making one of the few Estate Beers in the entire world! What do you mean, Rob? Estate Beer? 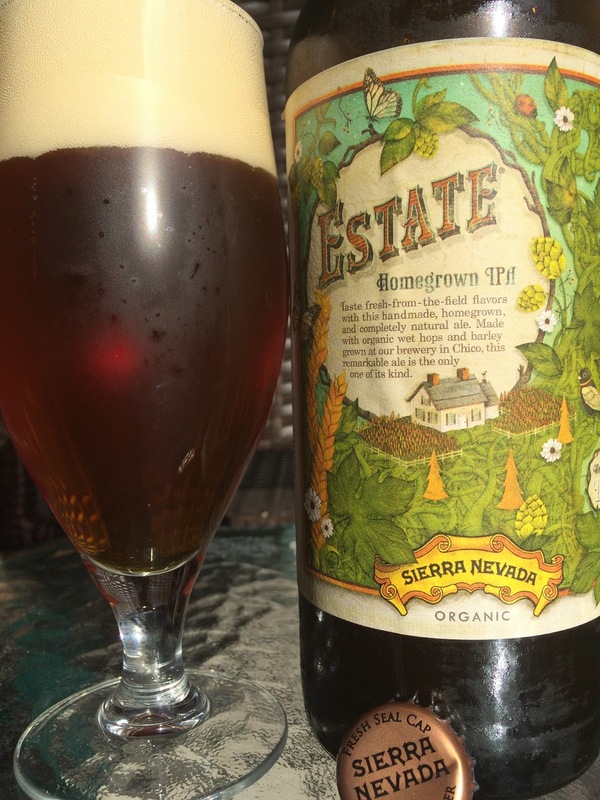 Yeah, Sierra Nevada uses organic barley and hops they grow on their own property adjacent to their Chico brewery. That is pretty amazing! The bottle artwork beautifully depicts their estate property and a story on the back label tells you a little more about the project while setting your expectations for tasting. 6.7% alcohol. Very fresh aroma, bursting with citrus and pine. Big citrus and grapefruit flavors also burst in your mouth, attacking your taste buds first sip. Sharp spiciness and excellent bitterness from the start. A big malty sweetness comes next, adding a significant balance. Grassy and spicy throughout, crisp, dry. Long-lasting citrus and toast flavors sit on your palate afterward, until the next sip of course. Excellent beer! Great project! Check it out!